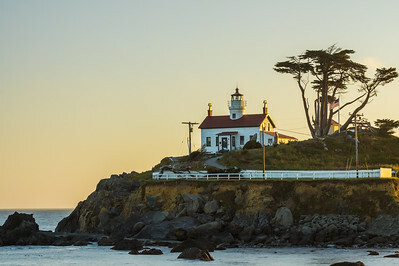 The photos in this gallery include the lighthouses taken along the Pacific Coast Highway that stretch form Oregon down to southern California. 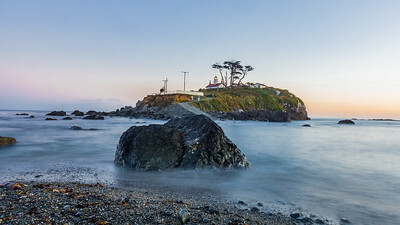 I captured this photo of Pigeon Pont Lighthouse located on the central coast of California. 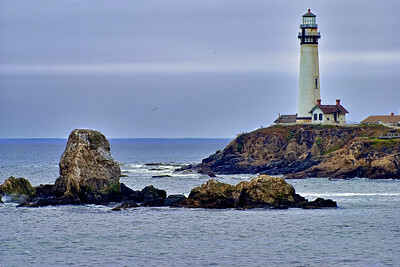 The majestic 115-foot tall white painted tower is the most photographed and painted lighthouse in California​. 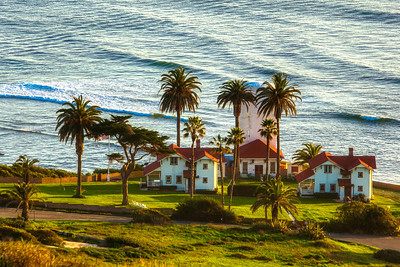 I captured this photo from the Pacific Coast Highway. 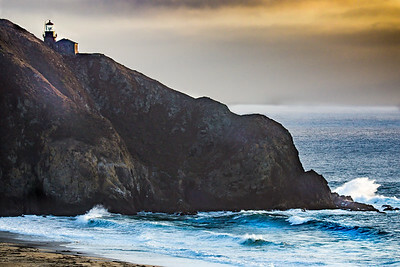 Jutting out into the Pacific Ocean from the spectacular Big Sur Coast, the Point Sur Light Station stands as a silent sentinel to a by-gone era. 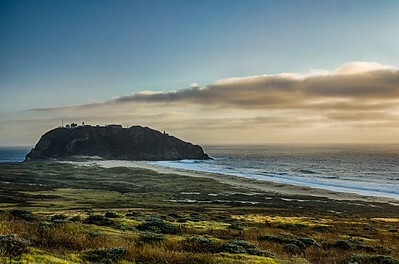 Point Sur, a National Historic Landmark, is the only complete turn-of-the-century light station open to the public in California. Battery Point Lighthouse and Museum located at the foot of A Street in Crescent City, California. This lighthouse serves as a private aid to navigation. The Lighthouse was first lit with oil lamps on December 10, 1856. The Lighthouse is also an active residence with lighthouse keeper. The Lighthouse and its museum are open to the public for tours including opportunities to look into the personal quarters of keepers and their families and the furniture and artifacts they have left behind since the 1850's. Tours include a climb into the light tower. There are displays of many maritime artifacts, photographs, ​and documents that chronicle its history. 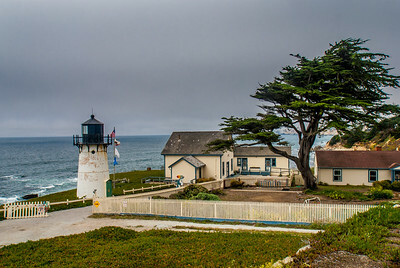 Battery Point Lighthouse and Museum are located at the foot of A Street in Crescent City, California. This is an active lighthouse that serves as a private aid to navigation. The Lighthouse was first lit with oil lamps on December 10, 1856. 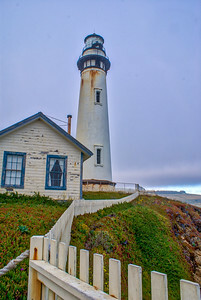 The Lighthouse is also an active residence with lighthouse keeper. The Lighthouse and its museum is open to the public for tours including opportunities to look into the personal quarters of keepers and their families and the furniture and artifacts they have left behind since the 1850's. Tours include a climb into the light tower. There are displays of many maritime artifacts, photographs and documents that chronicle its history. 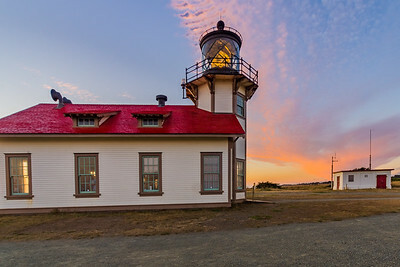 Just five miles south of the Fort Bragg, California City Limits, this state park and nature preserve is one of the most complete (restored) light stations in America. 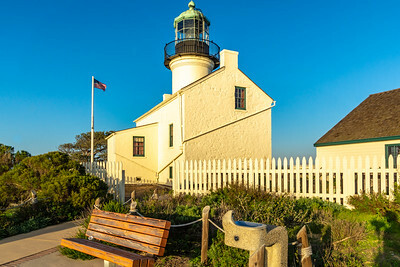 Point Cabrillo Lightkeepers Association received state and national awards for restoring eight of the nine structures to their original 1909 condition. 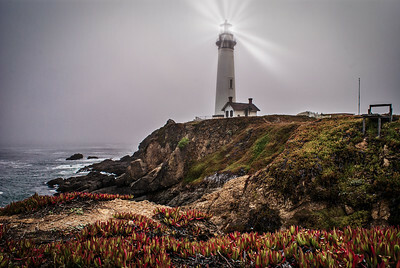 The 100-year-old lighthouse – with its British-built Fresnel Lens operates as a Federal Aid to Navigation. 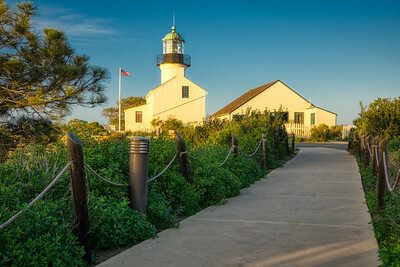 New Point Loma lighthouse Station, built on Pelican Point, a low-lying, level area at the southern extreme of Point Loma, was selected as the site for the replacement of the old Loma Point Lighthouse. 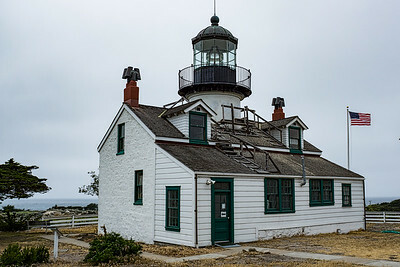 The original Point Loma Lighthouse is a historic lighthouse located on the Point Loma peninsula at the mouth of San Diego Bay in San Diego, California. 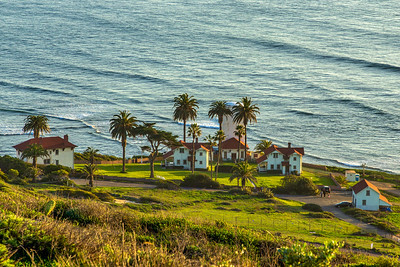 It is situated in the Cabrillo National Monument. 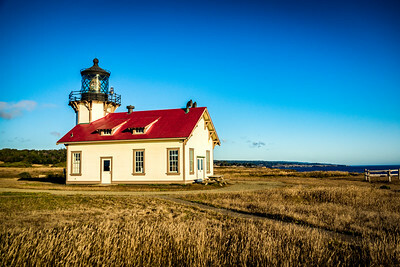 It is no longer in operation as a lighthouse but is open to the public as a museum.